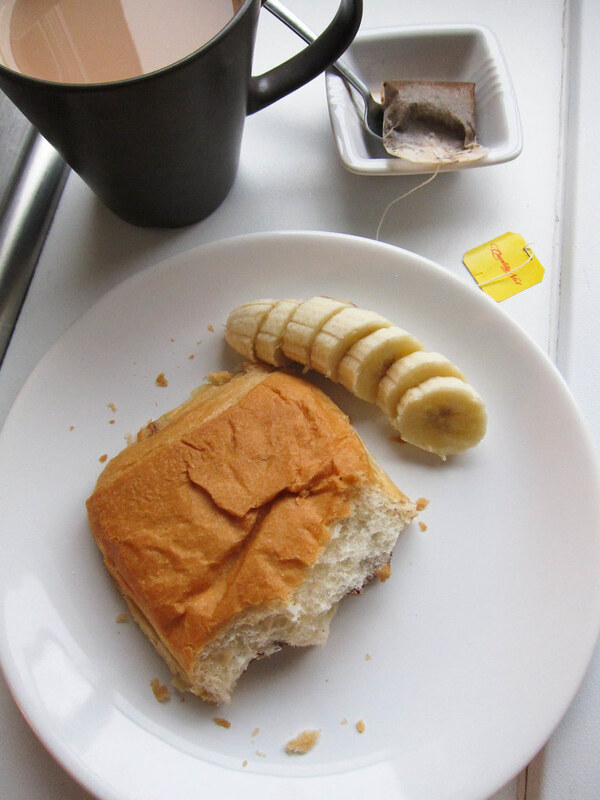 Vegan pain au chocolat from Loving Hut, banana slices, and tea with soy milk. 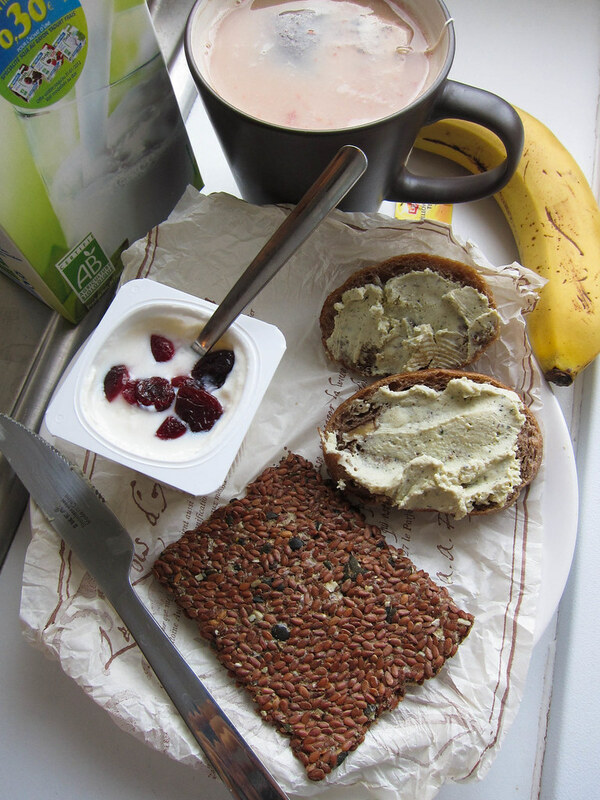 Plain soy yogurt with dried cranberries, walnut bread with vegan cheesy spread by Le Sojami, and raw pumpkin and onion flax crackers. 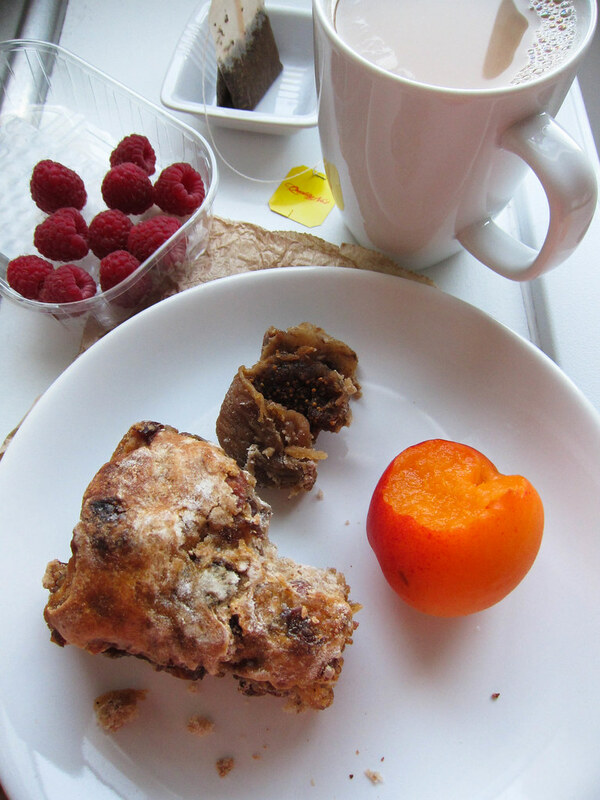 Dense bread loaded with dried figs and raisins, almonds, and hazelnuts (from Raspail organic market), an apricot, and raspberries. There are no words to describe how awesome this bread was. 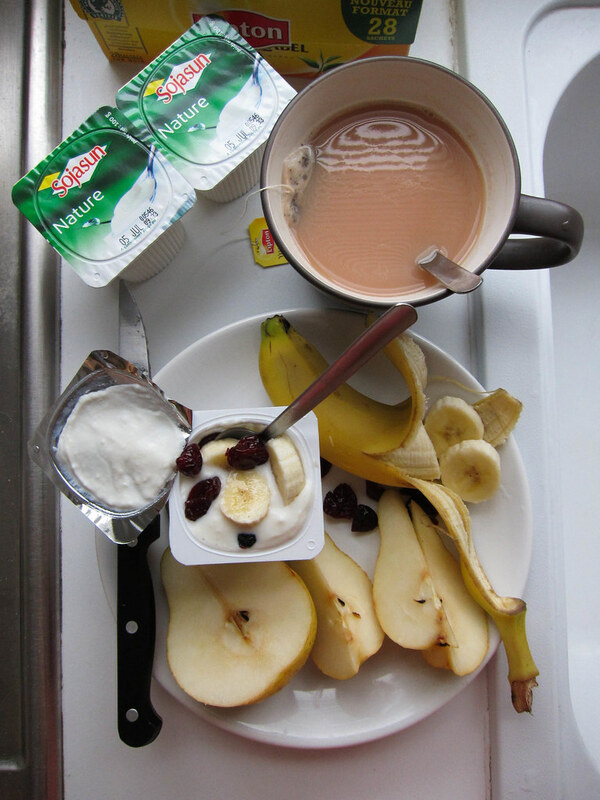 Soy yogurt with bananas, pears, and dried cranberries. 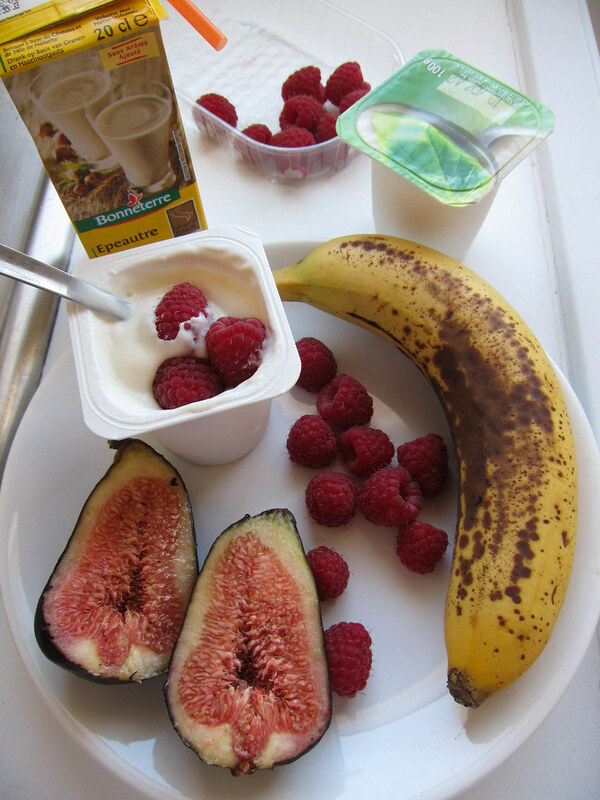 More soy yogurt, raspberries, figs, banana, and hazelnut milk. I went through so much yogurt (various brands), that all those healthy probiotics definitely kept me 'regular' throughout my entire trip. 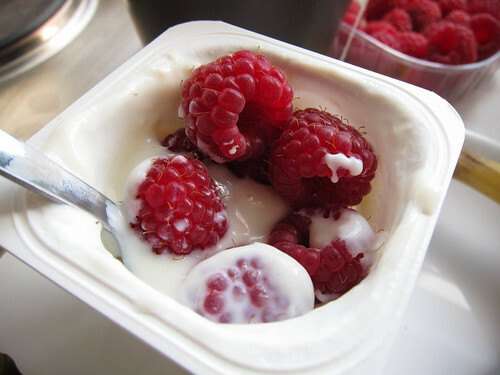 :) I was so amazed at how every major supermarket has several brands and flavors of soy yogurt, as if it were nothing special at all. 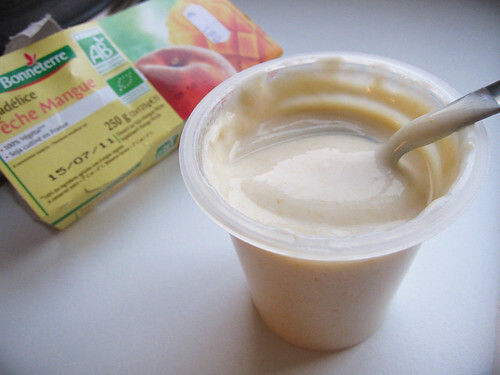 And they all tasted juuuust like the yogurt I remember, even the plain flavor without all the added sugar. 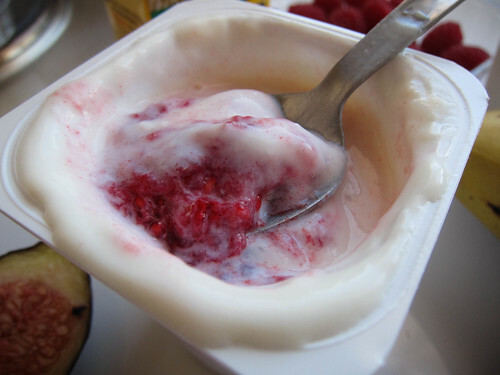 I really wish a Korean company would come out with a vegan yogurt brand. I would definitely be their # 1 customer. 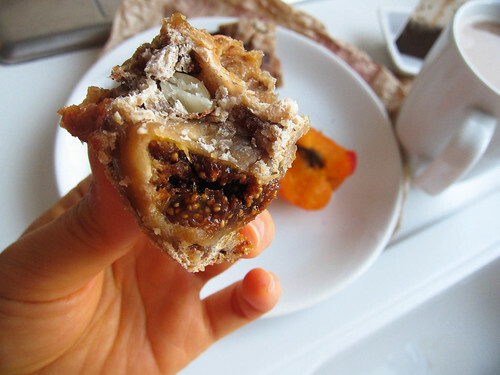 I miss my Paris breakfasts!